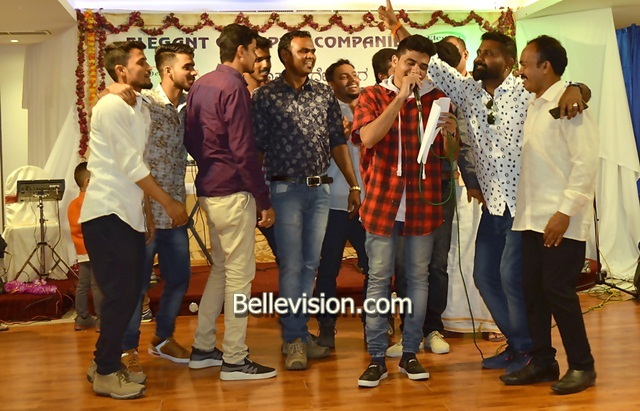 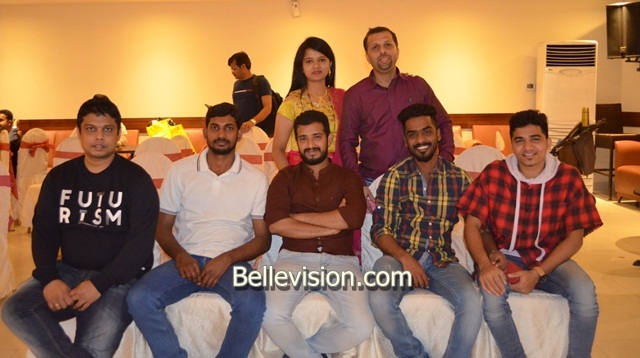 Ajman, 05 Dec: Friday, November 30 was indeed a special day for KaDaM as they celebrated their 8th anniversary at Ajman Beach Hotel from 11.30am to 6.00pm. 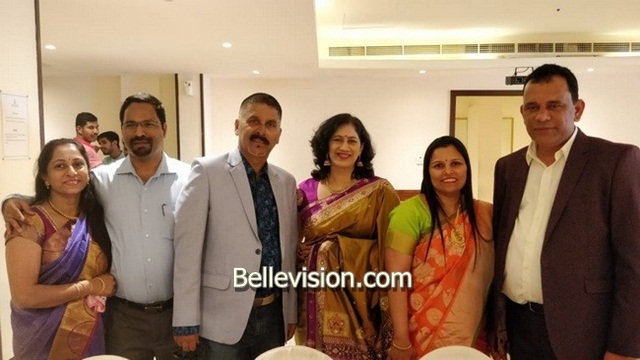 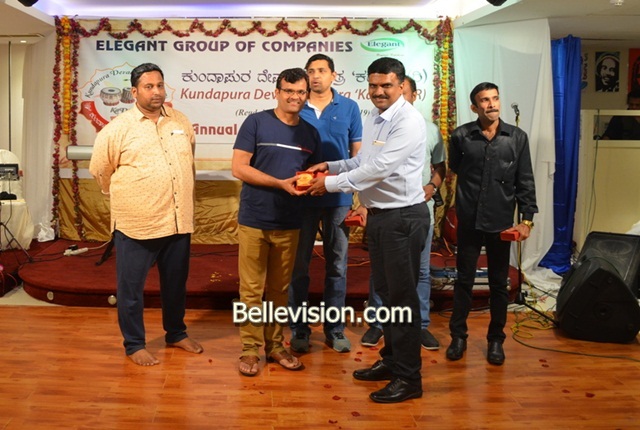 The day started with Nithyananda Beskoor welcoming the esteemed guests of the day Mrs & Mr Annayya Sherigar, managing trustee of Shree Ekanatheshwari Temple, Barkoor, Mrs & Mr Yadav, Mrs & Mr Shodhan Prasad, Ravi Tallur, Dinesh Devadiga, Sadandas and all the guests and members of KaDaM. 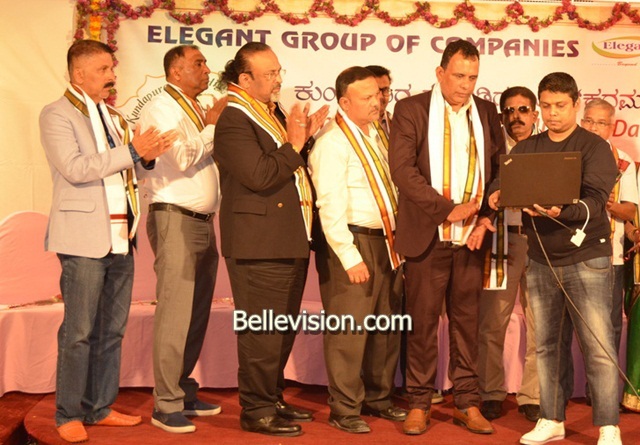 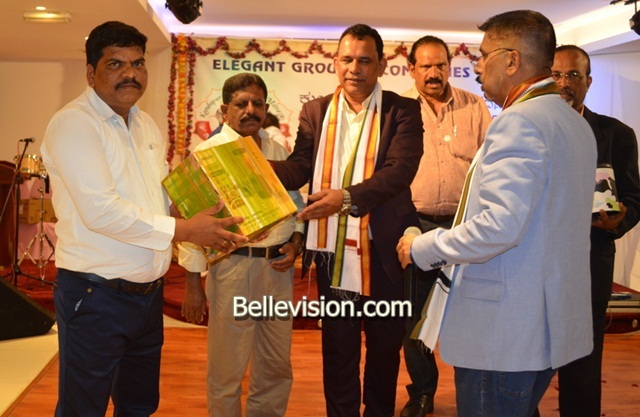 Annayya Sherigar, Shodhan Prasad, Dinesh Devadiga, Dr Yadav & KaDaM women members inaugurated the progamme, followed by a Prayer presented by ace singer Ramachandra Bedradka. 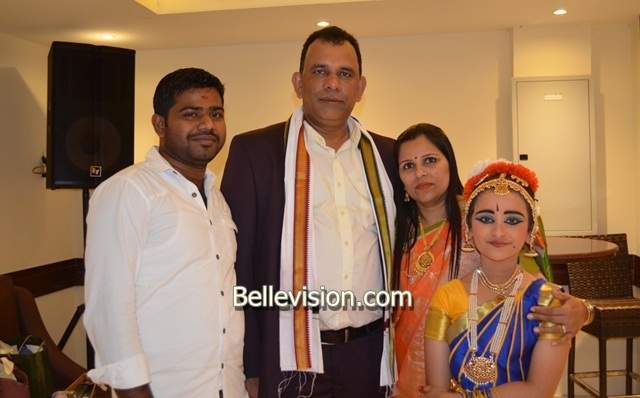 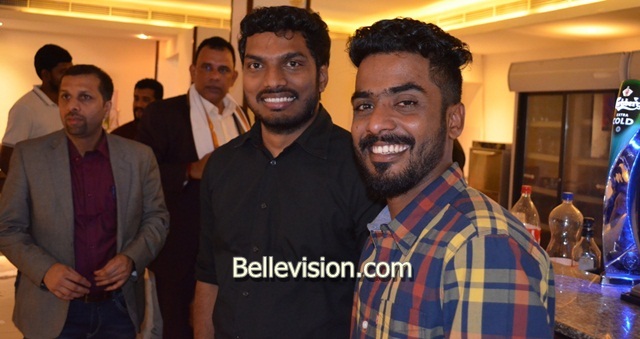 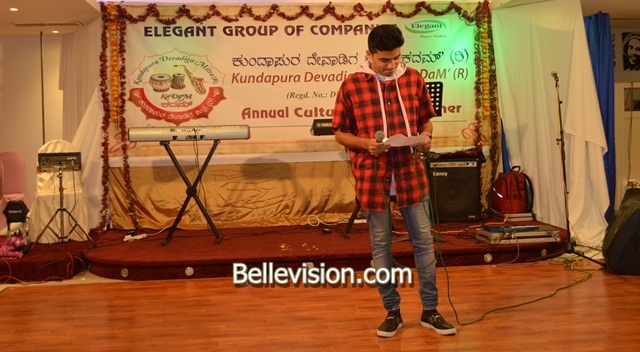 Nithyananda Beskoor called upon the trio anchors Vasudev, Ravi and Manju onto stage to continue the cultural program. 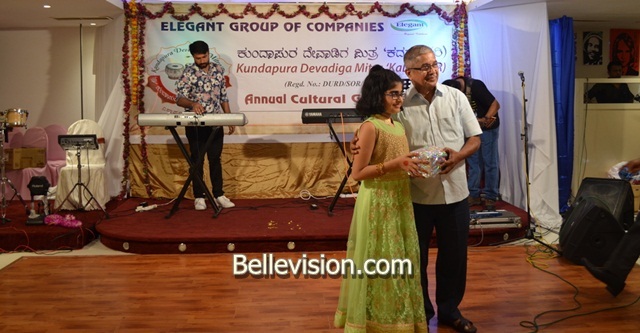 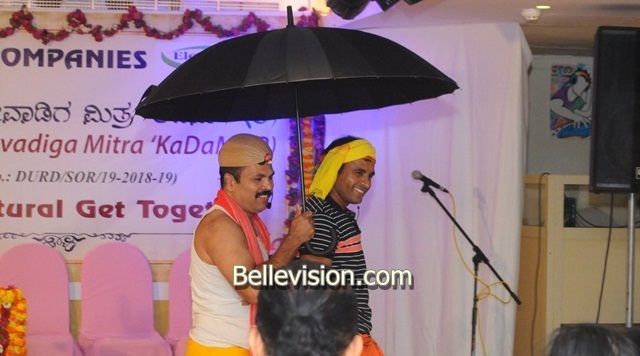 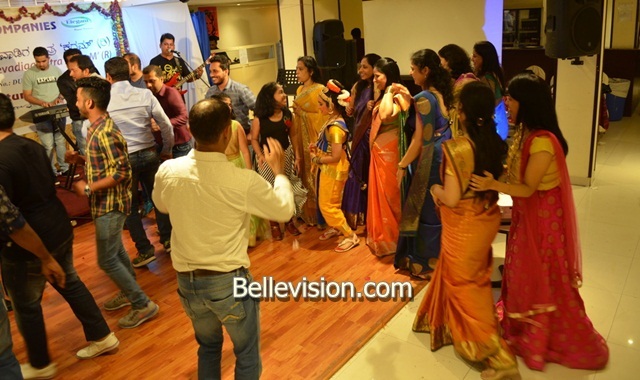 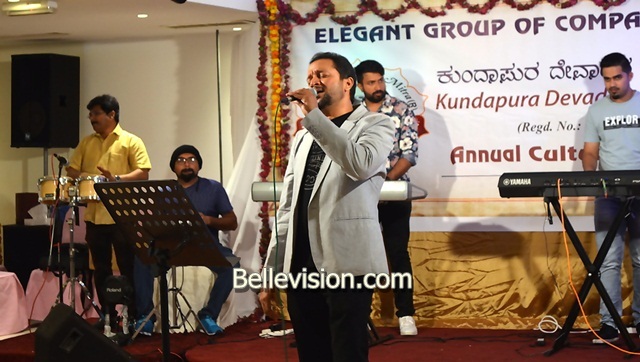 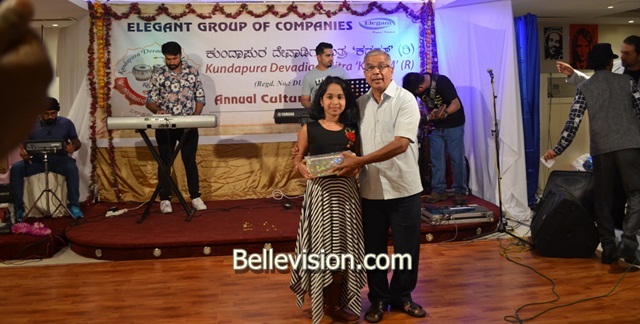 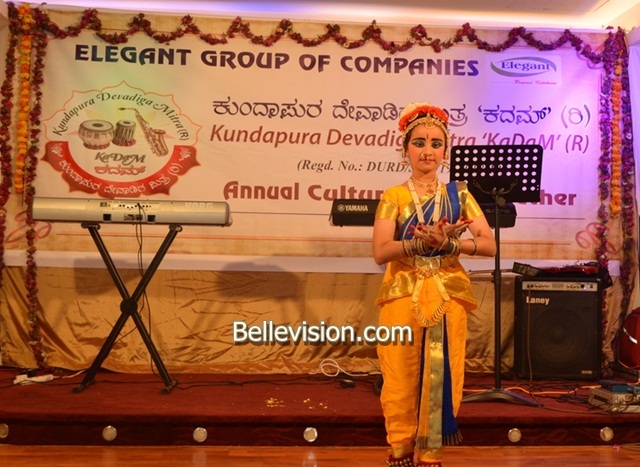 The trio in their debut attempt with a unique Kundapurian dialect and in Village attire entertained the audience throughout the cultural program. 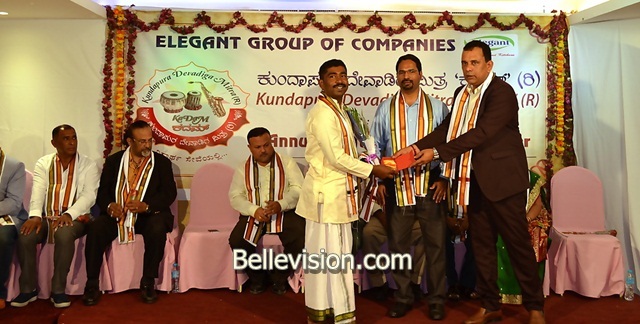 The most-awaited KaDaM’s Saadaka Prashashti for the year 2018 was conferred on Annayya Sherigar. 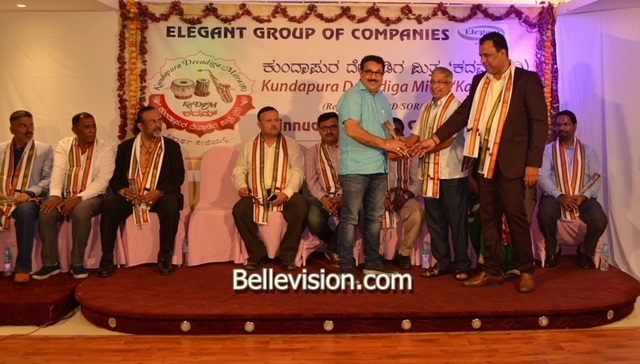 All the dignitaries on the dais were called upon by Nagaraj. 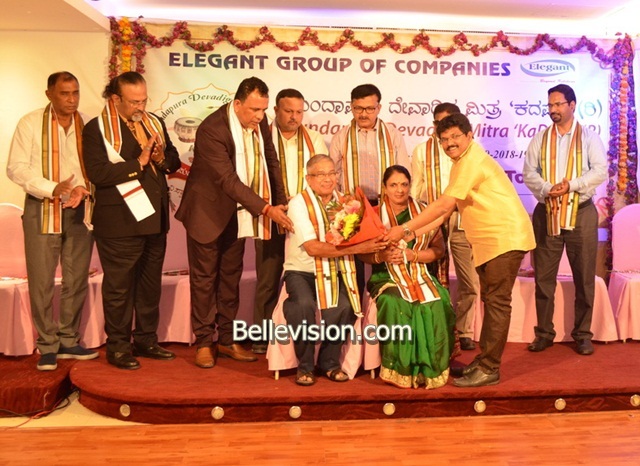 Narayan Devadiga invited dignitaries to proceed with the Prestigious Saadaka Prashasti Ceremony … Bouquet by Yuvraj, Shawl was draped by Dr Yadav, Peta by Suresh Kanchikan, Fruit Basket by Jagadeesh Devadiga Sirsi, Memento by Sudhakar Devadiga, Prashasthi was given by Dinesh Devadiga and garland by Shodhan Prasad. 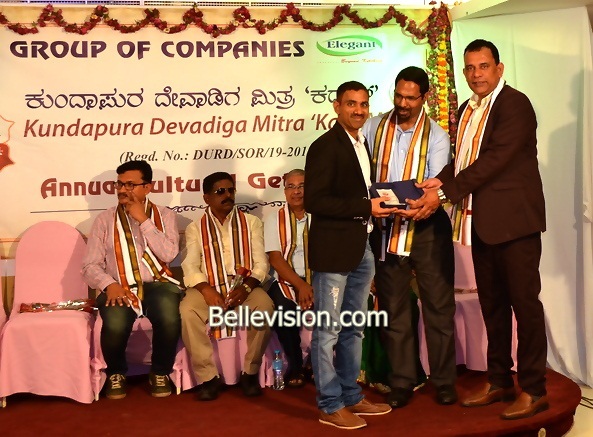 Among the guests and members on dais Annayya Sherigar, Dinesh Kumar, Sadandas, Shodhan Prasad, Suresh Kanchikan, Dinesh Devadiga, Nithyananda Beskoor and Ravi Tallur spoke on the occasion. 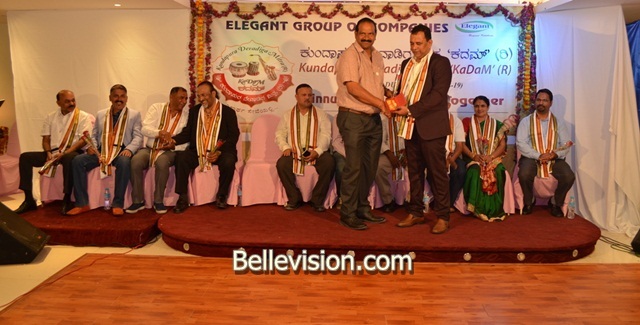 All of them unanimously spoke with pride about the various achievements of KaDaM within a short period of time in the field of Education, medical help to the needy,Blood Donation and also spearheading a unique mission of adopting kids (Dattu)and providing them Education. 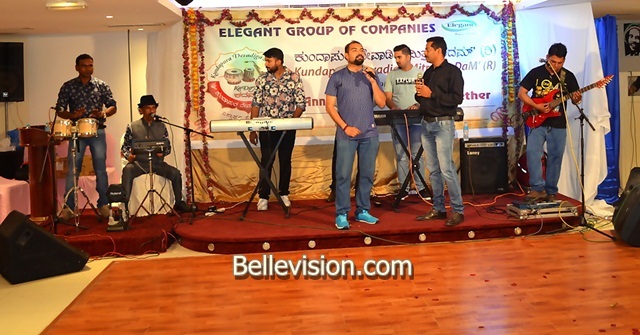 And also promised with the support of all the team members ..KaDaM is focused to achieve their goals and reach greater heights. 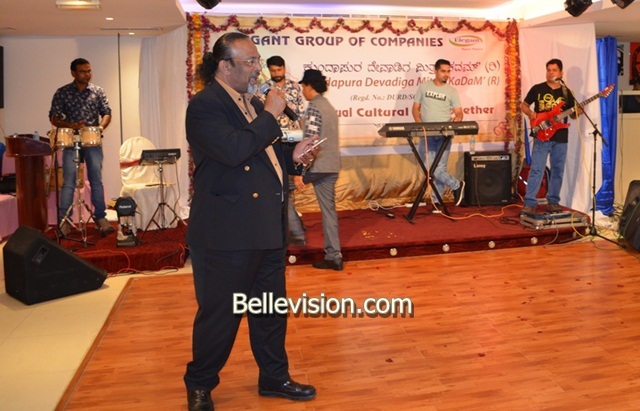 M D Narayan and Shekhar Shetty were also present on the dais. 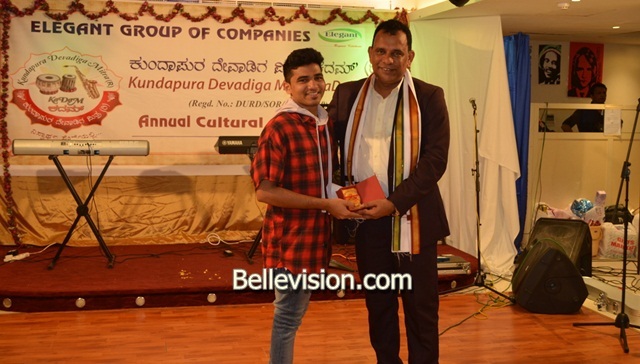 As part of Cultural program many songs, dances and skits were performed and a drawing competition for kids was also arranged by Shridhar Brahmavar. 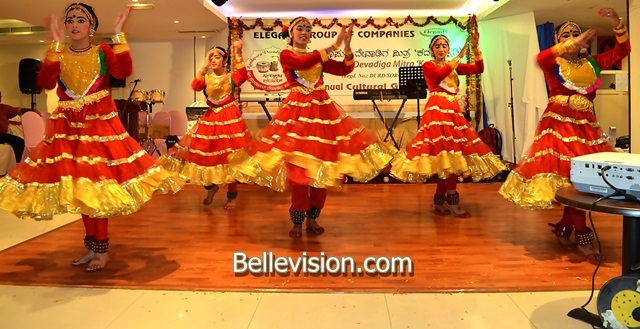 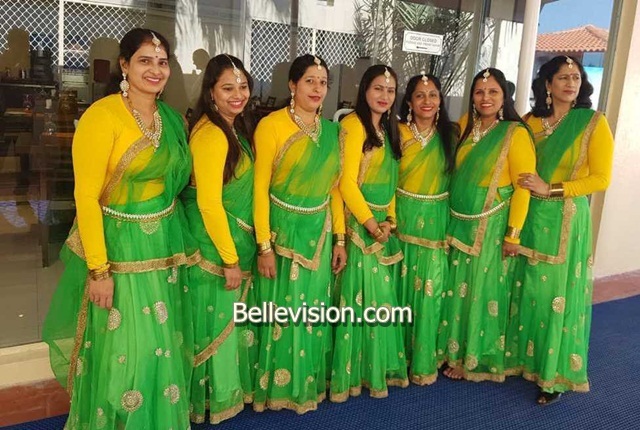 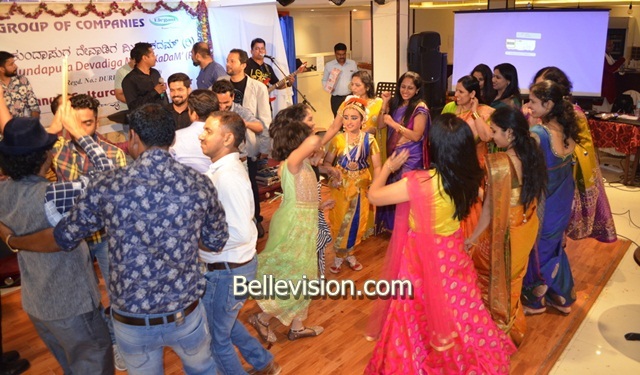 A dazzling dance performance by KaDaM Ladies was mesmerized the audience.